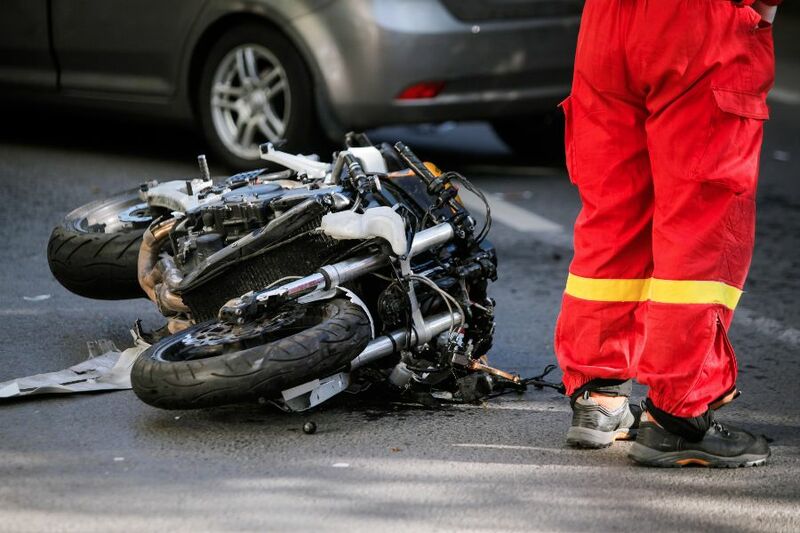 A Sheriff in the All-Scotland Personal Injury Court has ruled that the driver of a vehicle, who braked suddenly because she had become ‘apprehensive’ at the sight of the motorcycle approaching from behind, was entirely at fault for the accident. On 29th May 2016, Leslie O’Donnell, 59, was involved in a serious road traffic collision on the A82 at Loch Lomond. He was part of a trio of motorcyclists travelling to Oban. Travelling north at approximately 55-60mph, the pursuer caught up with a Peugeot being driven by the first defender, Lisa Smith, the latter of which was travelling at approximately 50mph. The pursuer assumed a position 50-60 metres behind the car. The driver of the Peugeot vehicle became apprehensive when she saw the motorcyclists in her rear view mirror. She braked so violently that she performed an emergency stop. The motorcyclist struck the stationary vehicle in front of him and sustained severe orthopaedic injuries. The pursuer raised an action for damages in respect of the first defender’s negligence at common law. Finding in favour of the pursuer, Sheriff McGowan stated ‘On the first defender’s own evidence, it is clear that she was in breach of duty. She said that she had become apprehensive about the presence of the motorcycles. She gave no reason for that and there was no criticism of the manner in which the motorcycles were being driven. ‘I accept the evidence that the pursuer was about 50-60m behind her and that Mr Steele and Mr Gately [the other 2 motorcyclists] were further back again. Accordingly, in my view, she had no legitimate reason to be apprehensive. ‘Looking at the circumstances as a whole, there was no reason whatsoever for her to brake. There was nothing ahead which gave rise to any requirement to do so and while slowing down a little by removing her foot from the accelerator, to allow the pursuer to overtake if he wished to do so, may have been legitimate, a sharp braking manoeuvre was inappropriate. The clear advice in the Highway Code is to drive steadily without sudden changes of speed or direction. ‘The first defender admitted that she braked too harshly and her car came to a stop. In my view, that is entirely consistent with the evidence of the pursuer and his two motorcycling companions. ‘Accordingly, I find that the first defender was in breach of her duty towards other road users, including the pursuer, and that her negligence caused the accident’. The Sheriff also observed that there was ‘no single rule which specifies the distance which should separate two vehicles travelling one behind the other’, and that ‘the mere fact of one vehicle having collided with the rear of another vehicle in front does not, of itself, give rise to the presumption that the driver of the following vehicle has been negligent’, but the following driver is expected to drive in such a manner as will enable him or her to deal successfully with all traffic exigencies ‘reasonably to be anticipated’. In this case, emergency braking due to apprehension did not fall into reasonably anticipated exigencies, and for that reason, the motorcyclist recovered damages in full. The pursuer was awarded damages in the sum of £47,000. If you have been involved in a road traffic accident and are considering claiming compensation, please get in touch with us for a confidential discussion.